In this post, I will show you how to configure and act upon notifications on your iPhone. 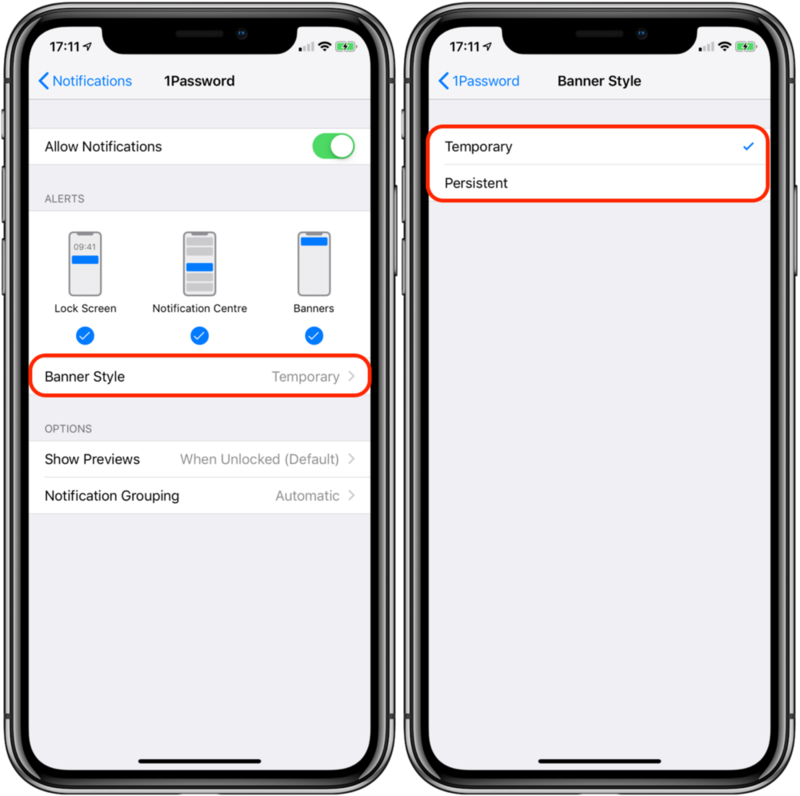 the temporary banners are called "Banners"
persistent banners are explicitly called "Alerts"
Alerts are the most intrusive as they won’t go away until you do something, which means that they should be reserved for a few applications only. They still can be silenced temporarily by using the “Do not disturb” option that I introduced in the previous post. You can configure how much (or how little) you want to be notified on an app-by-app basis, via the “Settings” app. The good news is that even if you accepted notifications from an app the first time that you used it, you can always change this afterwards, and I’ll explain you how here below. For some apps, like Mail or Messages, you can even reply right away, in the banner itself. Scroll down and tap on “Notifications"
For Messages, you can even configure it to display the banner multiple times with 2 minutes interval. Please note that third-party apps can be more or less customisable in terms of notification adjustments than the built-in ones. And you, how did you customise the notifications for your iPhone apps? Just le me know in the comments below!